I Love You Because… I absolutely love this idea for a wedding, anniversary or Valentines gift and it is so simple. Take a mason jar (or use any clean pickle or sauce jar!) and apply the Uppercase Living I Love You Because vinyl. 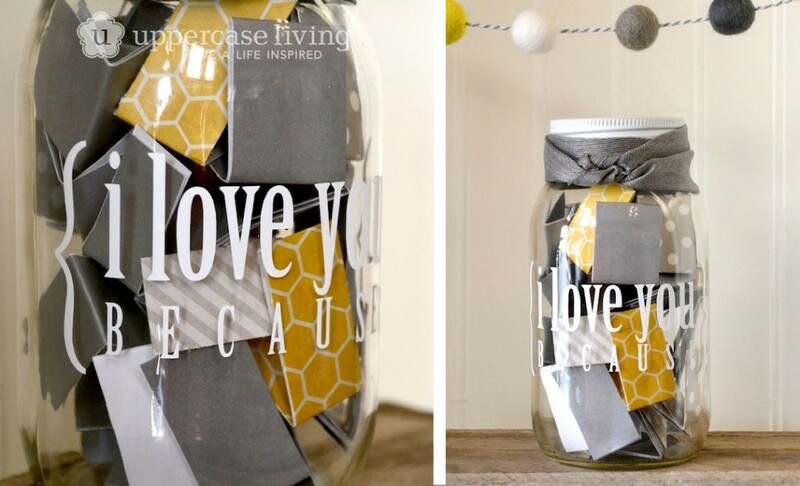 Then fill the jar with folded notes saying the various reasons that you love them.